This Volkswagen Touareg delivers a Premium Unleaded V-6 3.6 L/220 engine powering this Automatic transmission. TERRACOTTA BROWN, VIENNA LEATHER SEAT TRIM, R-LINE PACKAGE -inc: Black Headliner, Stainless Steel Pedals, R-Line Badge in Grille, R-Line Aluminum Door Sills, R-Line Body-Coloured Rear Spoiler, Sport Suspension, Aluminum Interior Trim, Wheels: 20 Talladega Alloys, Remove Easy Open Function From Power Tailgate, Chromed Oval Tailpipes, R-Line Heated Sport Steering Wheel, paddle shifters, CANYON GRAY METALLIC. This Volkswagen Touareg Comes Equipped with These Options Window Grid Diversity Antenna, Wheels: 20 Metropolitan Alloy, Wheels w/Silver Accents, Vienna Leather Seat Trim, Valet Function, Trunk/Hatch Auto-Latch, Trip Computer, Transmission: 8-Speed Automatic w/Tiptronic, Transmission w/Driver Selectable Mode, Tires: 20 AS. Stop By Today You've earned this- stop by Sherwood Park Volkswagen located at 2365 BROADMOOR BLVD, SHERWOOD PARK, AB T8H 1N1 to make this car yours today! This Volkswagen Atlas boasts a Regular Unleaded V-6 3.6 L/220 engine powering this Automatic transmission. Window Grid Antenna, Wheels: 18 Prisma Alloy, Vw Car-Net Selective Service Internet Access. This Volkswagen Atlas Features the Following Options Vienna Perforated Leather Seating Surfaces, Valet Function, Trunk/Hatch Auto-Latch, Trip Computer, Transmission: 8-Speed Automatic w/Tiptronic -inc: eco mode, Transmission w/Driver Selectable Mode, Tires: 245/60R18 105T All-Season, Tailgate/Rear Door Lock Included w/Power Door Locks, Systems Monitor, Strut Front Suspension w/Coil Springs. Stop By Today Test drive this must-see, must-drive, must-own beauty today at Sherwood Park Volkswagen, 2365 BROADMOOR BLVD, SHERWOOD PARK, AB T8H 1N1. This Volkswagen Atlas boasts a Regular Unleaded V-6 3.6 L/220 engine powering this Automatic transmission. Window Grid Antenna, Wheels: 18 Prisma Alloy, Vw Car-Net Selective Service Internet Access. This Volkswagen Atlas Comes Equipped with These Options Vienna Perforated Leather Seating Surfaces, Valet Function, Trunk/Hatch Auto-Latch, Trip Computer, Transmission: 8-Speed Automatic w/Tiptronic -inc: eco mode, Transmission w/Driver Selectable Mode, Tires: 245/60R18 105T All-Season, Tailgate/Rear Door Lock Included w/Power Door Locks, Systems Monitor, Strut Front Suspension w/Coil Springs. Stop By Today You've earned this- stop by Sherwood Park Volkswagen located at 2365 BROADMOOR BLVD, SHERWOOD PARK, AB T8H 1N1 to make this car yours today! This Volkswagen Atlas boasts a Regular Unleaded V-6 3.6 L/220 engine powering this Automatic transmission. Window Grid Antenna, Wheels: 18 Prisma Alloy, Vw Car-Net Selective Service Internet Access. This Volkswagen Atlas Features the Following Options Vienna Perforated Leather Seating Surfaces, Valet Function, Trunk/Hatch Auto-Latch, Trip Computer, Transmission: 8-Speed Automatic w/Tiptronic -inc: eco mode, Transmission w/Driver Selectable Mode, Tires: 245/60R18 105T All-Season, Tailgate/Rear Door Lock Included w/Power Door Locks, Systems Monitor, Strut Front Suspension w/Coil Springs. 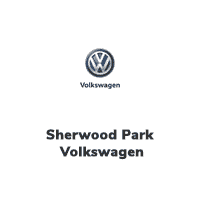 Visit Us Today A short visit to Sherwood Park Volkswagen located at 2365 BROADMOOR BLVD, SHERWOOD PARK, AB T8H 1N1 can get you a reliable Atlas today! This Volkswagen Atlas boasts a Regular Unleaded V-6 3.6 L/220 engine powering this Automatic transmission. Window Grid Antenna, Wheels: 18 Prisma Alloy, Vw Car-Net Selective Service Internet Access. This Volkswagen Atlas Features the Following Options Vienna Perforated Leather Seating Surfaces, Valet Function, Trunk/Hatch Auto-Latch, Trip Computer, Transmission: 8-Speed Automatic w/Tiptronic -inc: eco mode, Transmission w/Driver Selectable Mode, Tires: 245/60R18 105T All-Season, Tailgate/Rear Door Lock Included w/Power Door Locks, Systems Monitor, Strut Front Suspension w/Coil Springs. Visit Us Today Test drive this must-see, must-drive, must-own beauty today at Sherwood Park Volkswagen, 2365 BROADMOOR BLVD, SHERWOOD PARK, AB T8H 1N1. This Volkswagen Atlas delivers a Regular Unleaded V-6 3.6 L/220 engine powering this Automatic transmission. Window Grid Antenna, Wheels: 18 Prisma Alloy, Vw Car-Net Selective Service Internet Access. This Volkswagen Atlas Comes Equipped with These Options Vienna Perforated Leather Seating Surfaces, Valet Function, Trunk/Hatch Auto-Latch, Trip Computer, Transmission: 8-Speed Automatic w/Tiptronic -inc: eco mode, Transmission w/Driver Selectable Mode, Tires: 245/60R18 105T All-Season, Tailgate/Rear Door Lock Included w/Power Door Locks, Systems Monitor, Strut Front Suspension w/Coil Springs. Stop By Today A short visit to Sherwood Park Volkswagen located at 2365 BROADMOOR BLVD, SHERWOOD PARK, AB T8H 1N1 can get you a trustworthy Atlas today! This Volkswagen Atlas boasts a Regular Unleaded V-6 3.6 L/220 engine powering this Automatic transmission. Window Grid Antenna, Wheels: 18 Prisma Alloy, Vw Car-Net Selective Service Internet Access. This Volkswagen Atlas Features the Following Options Vienna Perforated Leather Seating Surfaces, Valet Function, Trunk/Hatch Auto-Latch, Trip Computer, Transmission: 8-Speed Automatic w/Tiptronic -inc: eco mode, Transmission w/Driver Selectable Mode, Tires: 245/60R18 105T All-Season, Tailgate/Rear Door Lock Included w/Power Door Locks, Systems Monitor, Strut Front Suspension w/Coil Springs. Stop By Today Treat yourself- stop by Sherwood Park Volkswagen located at 2365 BROADMOOR BLVD, SHERWOOD PARK, AB T8H 1N1 to make this car yours today! This Volkswagen Atlas boasts a Regular Unleaded V-6 3.6 L/220 engine powering this Automatic transmission. Window Grid Antenna, Wheels: 18 Prisma Alloy, Vw Car-Net Selective Service Internet Access. This Volkswagen Atlas Comes Equipped with These Options Vienna Perforated Leather Seating Surfaces, Valet Function, Trunk/Hatch Auto-Latch, Trip Computer, Transmission: 8-Speed Automatic w/Tiptronic -inc: eco mode, Transmission w/Driver Selectable Mode, Tires: 245/60R18 105T All-Season, Tailgate/Rear Door Lock Included w/Power Door Locks, Systems Monitor, Strut Front Suspension w/Coil Springs. Stop By Today Live a little- stop by Sherwood Park Volkswagen located at 2365 BROADMOOR BLVD, SHERWOOD PARK, AB T8H 1N1 to make this car yours today! This Volkswagen Atlas delivers a Regular Unleaded V-6 3.6 L/220 engine powering this Automatic transmission. Window Grid Antenna, Wheels: 18 Prisma Alloy, Vw Car-Net Selective Service Internet Access. This Volkswagen Atlas Comes Equipped with These Options Vienna Perforated Leather Seating Surfaces, Valet Function, Trunk/Hatch Auto-Latch, Trip Computer, Transmission: 8-Speed Automatic w/Tiptronic -inc: eco mode, Transmission w/Driver Selectable Mode, Tires: 245/60R18 105T All-Season, Tailgate/Rear Door Lock Included w/Power Door Locks, Systems Monitor, Strut Front Suspension w/Coil Springs. Visit Us Today Test drive this must-see, must-drive, must-own beauty today at Sherwood Park Volkswagen, 2365 BROADMOOR BLVD, SHERWOOD PARK, AB T8H 1N1. This Volkswagen Atlas delivers a Regular Unleaded V-6 3.6 L/220 engine powering this Automatic transmission. Window Grid Antenna, Wheels: 18 Prisma Alloy, Vw Car-Net Selective Service Internet Access. This Volkswagen Atlas Features the Following Options Vienna Perforated Leather Seating Surfaces, Valet Function, Trunk/Hatch Auto-Latch, Trip Computer, Transmission: 8-Speed Automatic w/Tiptronic -inc: eco mode, Transmission w/Driver Selectable Mode, Tires: 245/60R18 105T All-Season, Tailgate/Rear Door Lock Included w/Power Door Locks, Systems Monitor, Strut Front Suspension w/Coil Springs. Stop By Today You've earned this- stop by Sherwood Park Volkswagen located at 2365 BROADMOOR BLVD, SHERWOOD PARK, AB T8H 1N1 to make this car yours today! This Volkswagen Arteon boasts a Intercooled Turbo Premium Unleaded I-4 2.0 L/121 engine powering this Automatic transmission. Window Grid Diversity Antenna, Wheels: 18 Almere Alloy w/Adamantium Finish -inc: Dark grey, 8J x 18, Valet Function. This Volkswagen Arteon Features the Following Options Trunk/Hatch Auto-Latch, Trip Computer, Transmission: 8-Speed Automatic w/Tiptronic, Transmission w/Driver Selectable Mode, Tires: 245/45 R18 94H All-Season, Tailgate/Rear Door Lock Included w/Power Door Locks, Strut Front Suspension w/Coil Springs, Streaming Audio, Side Impact Beams, Side Curtain Protection Curtain 1st And 2nd Row Airbags. Stop By Today Treat yourself- stop by Sherwood Park Volkswagen located at 2365 BROADMOOR BLVD, SHERWOOD PARK, AB T8H 1N1 to make this car yours today! This Volkswagen Atlas boasts a Regular Unleaded V-6 3.6 L/220 engine powering this Automatic transmission. Window Grid Antenna, Wheels: 20 Mejorada Alloy, Vw Car-Net Selective Service Internet Access. This Volkswagen Atlas Features the Following Options Vienna Perforated Leather Seating Surfaces, Valet Function, Trunk/Hatch Auto-Latch, Trip Computer, Transmission: 8-Speed Automatic w/Tiptronic -inc: eco mode, Transmission w/Driver Selectable Mode, Tires: 255/50R20 109T All-Season, Tailgate/Rear Door Lock Included w/Power Door Locks, Systems Monitor, Strut Front Suspension w/Coil Springs. Visit Us Today You've earned this- stop by Sherwood Park Volkswagen located at 2365 BROADMOOR BLVD, SHERWOOD PARK, AB T8H 1N1 to make this car yours today! This Volkswagen Atlas delivers a Regular Unleaded V-6 3.6 L/220 engine powering this Automatic transmission. Window Grid Antenna, Wheels: 20 Mejorada Alloy, Vw Car-Net Selective Service Internet Access. This Volkswagen Atlas Features the Following Options Vienna Perforated Leather Seating Surfaces, Valet Function, Trunk/Hatch Auto-Latch, Trip Computer, Transmission: 8-Speed Automatic w/Tiptronic -inc: eco mode, Transmission w/Driver Selectable Mode, Tires: 255/50R20 109T All-Season, Tailgate/Rear Door Lock Included w/Power Door Locks, Systems Monitor, Strut Front Suspension w/Coil Springs. Visit Us Today Stop by Sherwood Park Volkswagen located at 2365 BROADMOOR BLVD, SHERWOOD PARK, AB T8H 1N1 for a quick visit and a great vehicle! This Volkswagen Atlas delivers a Regular Unleaded V-6 3.6 L/220 engine powering this Automatic transmission. TITAN BLACK, VIENNA PERFORATED LEATHER SEATING SURFACES, FORTANA RED METALLIC, ENGINE BLOCK HEATER. This Volkswagen Atlas Features the Following Options Window Grid Antenna, Wheels: 20 Mejorada Alloy, Vw Car-Net Selective Service Internet Access, Valet Function, Trunk/Hatch Auto-Latch, Trip Computer, Transmission: 8-Speed Automatic w/Tiptronic -inc: eco mode, Transmission w/Driver Selectable Mode, Tires: 255/50R20 109T All-Season, Tailgate/Rear Door Lock Included w/Power Door Locks. Stop By Today Come in for a quick visit at Sherwood Park Volkswagen, 2365 BROADMOOR BLVD, SHERWOOD PARK, AB T8H 1N1 to claim your Volkswagen Atlas!